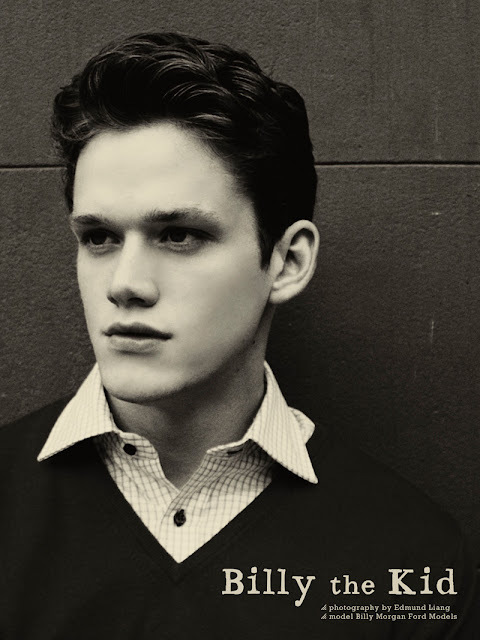 Boys of Fashion Week SS/2012 from Justin Wu on Vimeo. The famous photographer Justin Wu made another great video to celebrate the end of menswear's Milan/Paris fashion week Spring Summer 2012 with all the male models. If you didn't saw the last video of Justin uploaded 6 months ago you can watch it here. Enjoy it! The top model Simon Nessman is entlisted once more for H&M's new Divided lineup. Promted by Downtown Delish, youth proves to be the strongest selling point with the likes of a graphic tee, joggers, sweatshirts and other pieces marking the season. The new face Billy Morgan from Pennsylvania, USA, is signed with Ford Models NYC and Vision LA. Photographed by Anthony Meyer and styled by Ben Brouillet, models Ash Stymest, Sebastian Sauve, Callum Wilson, Luke Worrall, and Lyle Lodwick are on 8 beautiful covers for the upcoming The Raw Issue of Fiasco set to be released on August 1st 2011. Re:Quest model Daniel Hamaj lensed by Char Alfonzo. Spanish model Gerard Salla for Tommy Hilfiger Underwear Fall/Winter 2011/2 campaign. The german model Alex Lundqvist (PMA/Wihelmina) is photographed by Stefan Armbruster and styled by Götz Offergeld for the latest edition of Fräulein magazine. Alexander Beck, Francisco Lachowski, Paolo Anchisi, Luka Badnjar, Anthon Wellsjo, Keno Weidner and Josh Tuckley are lensed by Aline & Jacqueline Tappia for a new special GQ Italia denim story in collaboration with the stylist Peter Cardona. Matthias and Donovan Vriens-McGrath photographs River Viiperi for the latest project of BL33N available now at Colette. I.M.C models Alexander and Andrew Harris are photographed by Eniko Szucs for a new editorial feature styled by Jamar Graham. Boasting an eclectic style, the brothers wear a new wardrobe from Topman, Armani Exchange, Versace and others labels, mixed with vintage and customized garments that include the likes of Helmut Lang and Issey Miyake. Photographed by David Ledoux, the handsome model Vincent Banic is wearing a wardrobe of easy casuals styled by James Sleaford for the latest edition of GQ France. The handsome models Julian Schratter and River Viiperi are photographed by Matthew Scrivens for the new campaign of Armani Exchange Fall 2011. Brazilian top model Andre Ziehe by Jannis Tsipoulanis. Andrey Kupchenko (M and P Models) photographed by Liliya Kozlova. Models Sam Way, William Eustace and Max Motta for Pull & Bear Fall 2011 campaign. Dan Lisvik by Mariano Vivanco. Hungarian new face Janos Molnar (represented by Re: Quest) is ready to hit the spot. 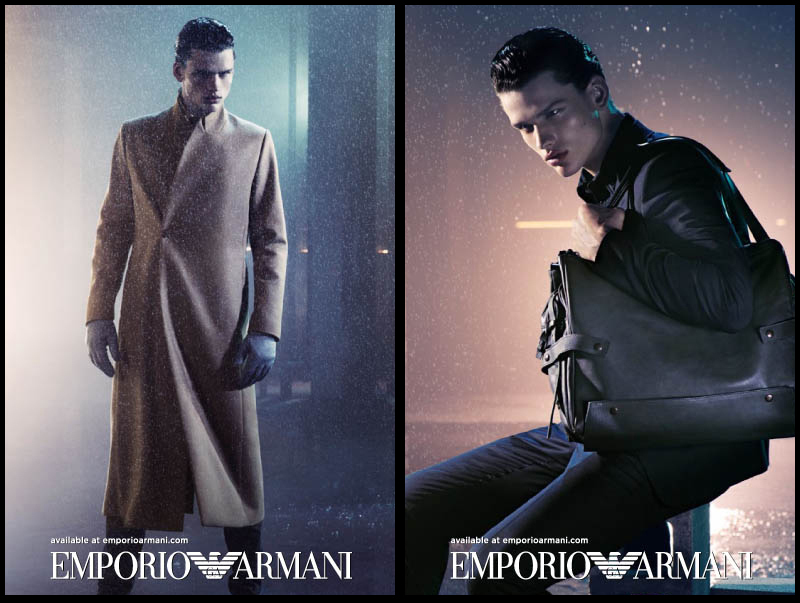 Top model Simon Nessman and photographer Mario Sorrenti collaborated once again for Emporio Armani for the Fall/Winter 2011 campaign. 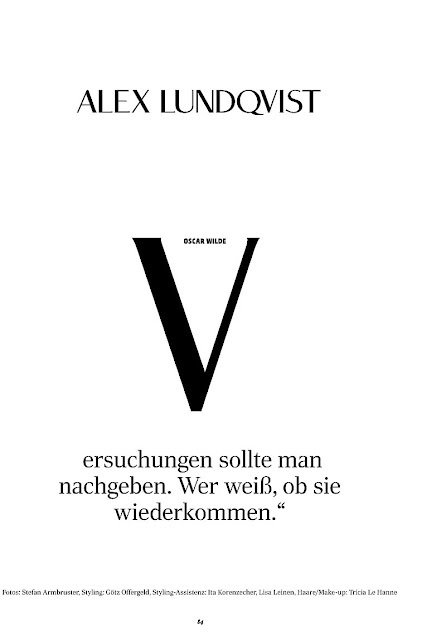 / Styled by Edward Enninful. 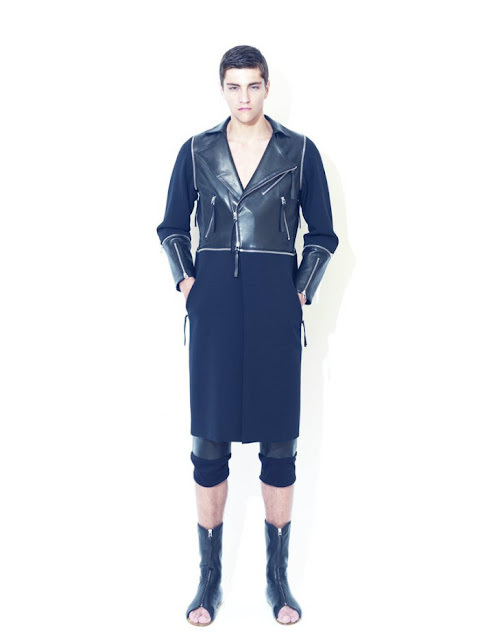 The new face of Allure Bucharest, model Mihai Dobre was photographed by Tibi Clenci for the spring 2012 lookbook of yong label tweenty(2)too. Arthur Tanski by Matthew Lenartowicz. For Dolce & Gabbana Gym Lookbook Fall/Winter 2011with David Gandy, Elbio Bonsaglio, Adam Senn and other handsome models. 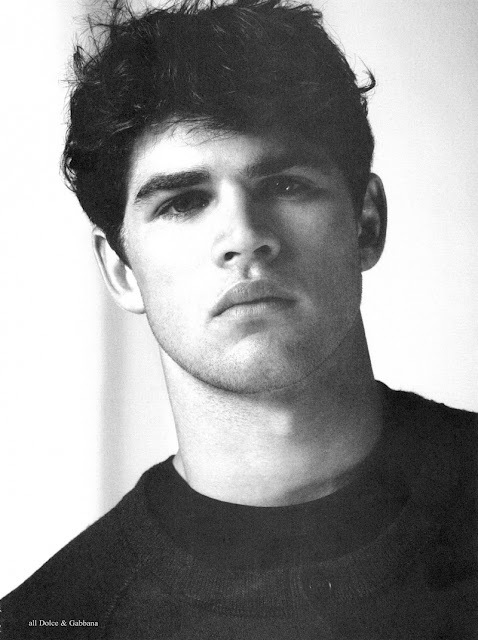 The Request model Ryan Bertroche photographed by Saverio Cardia for Slurp magazine. Chad Buchanan (VNY) by Anthony Amadeo. 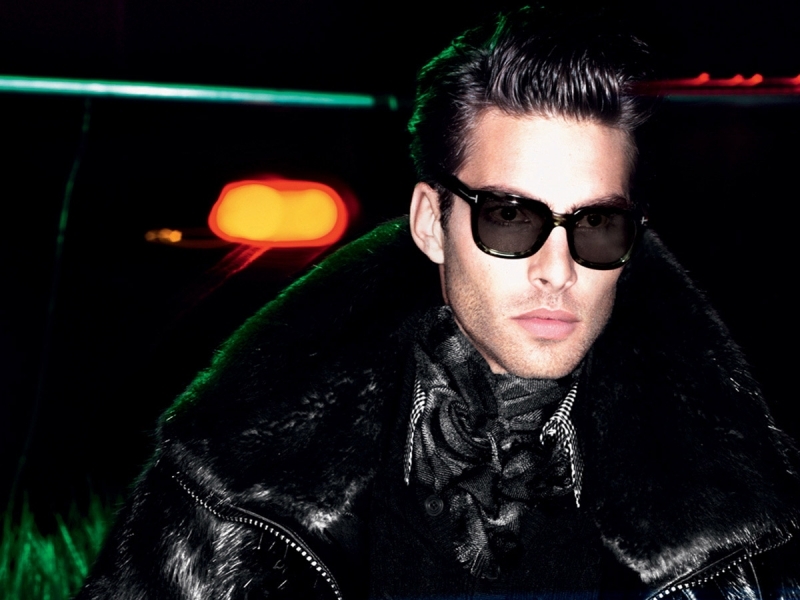 For the latest campaign of Dolce & Gabbana Fall 2011, Steven Klein has choosed like location the downtown Manhattan. The models in the photoshoots are Noah Mills, Arthur Kulkov, Guy Robinson, Nils Butler, Daisuke Ueda and Paolo Anchisi. The handsome Romanian model Silviu Tolu ( Allure ) hits the small screen in Garnier Fructis' latest advertising campaign. The top model Francisco Lachowski was captured in photos and video together with Charlotte Free for the new fall 2011 campaign of the italian label Ermanno Scervino. V magazine celebrates 30 years of Michael Kors with a group photo lensed by Terry Tsiolis, styled by Jay Massacret, with the duo models Aiden Andrews (Ford) and Vincent Lacrocq (Next) in. The handsome model Jon Kortajarena is photographed by Mert Alas & Marcus Piggott for the latest Tom Ford Fall/Winter 2011 campaign. 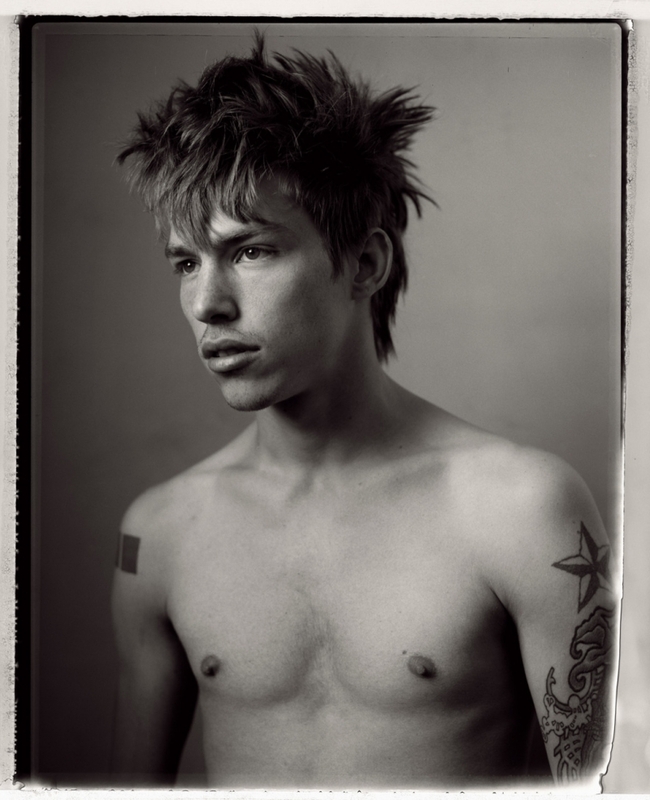 Cole Mohr by Simon Procter. 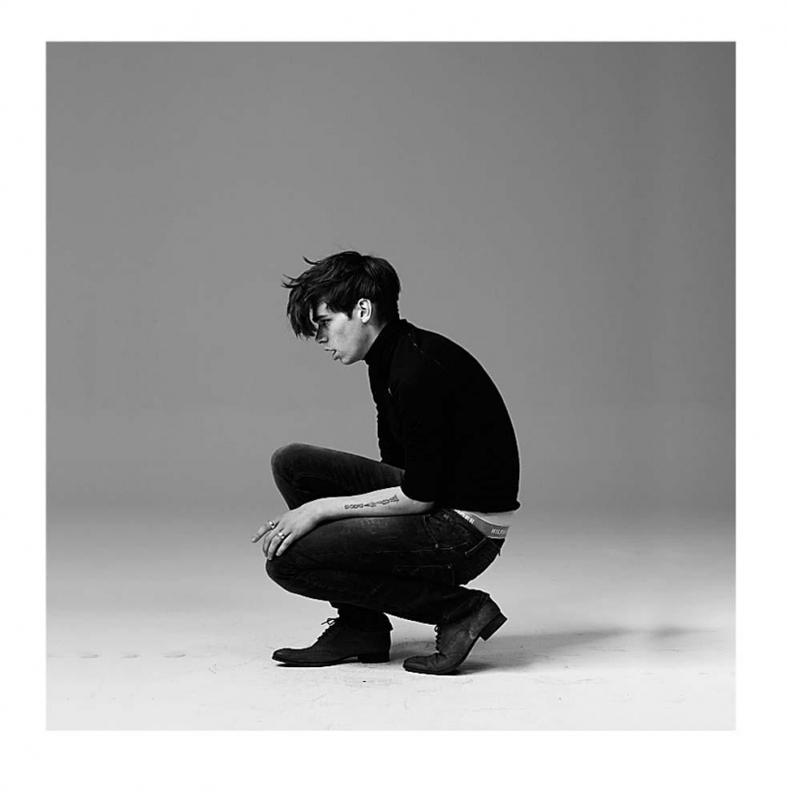 Model Jacques Naude is photographed by Sebastian Kim and styled by Karl Templer for Calvin Klein Jeans Fall/Winter 2011 campaign. Marlon Teixeira is joined by Evandro Soldati’s girlfriend, Yasmin Brunet, in the Acostamento S/S 2012 campaign photographed by Marcelo Ringo. 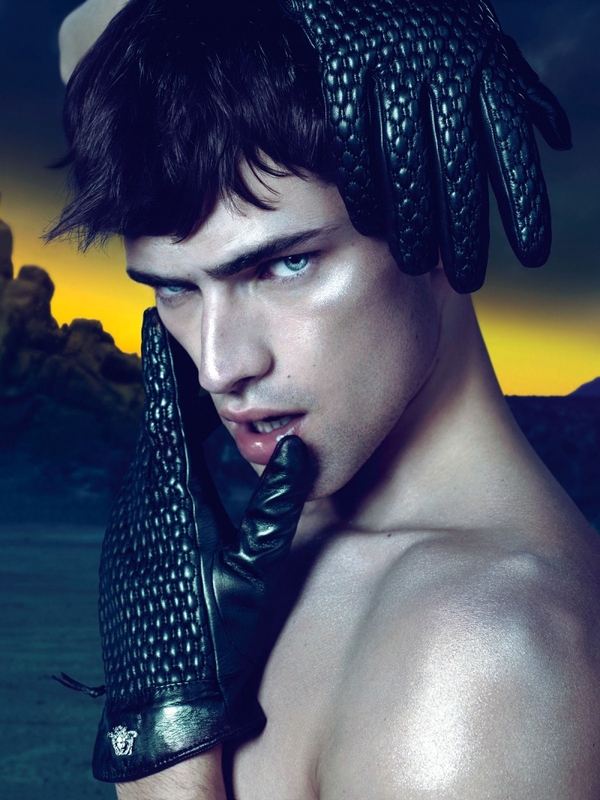 The supermodel Sean O’Pry photographed by Mert Alas & Marcus Piggott for the new Versace Fall 2011 campaign.